Tactical Mitts - this thing is absolutely necessary for people who have to deal with cold and small arms. They protect hands from pinching mechanisms of small arms, cuts and bruises. Due to open the fingers, hands do not lose sensitivity and can make the most subtle manipulation. 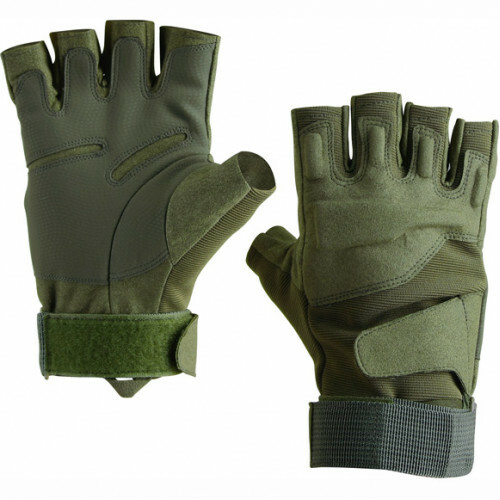 Following the military tactical Mitts loved by tourists, athletes and fans, extreme war games. Drivers of SUVs, motorcycles, quads and bicycle tourists, regulars adventure races, and orienteering got in their face easy and reliable protection for the hand, allows you to leave the side of caution and focus on the route. This is not a big item of equipment combines the protection of a fist knuckles and fingers, antiproskalzyvayuschie reinforcement patches, strength and elasticity. Neoprene cuff at the wrist tightened sling and fastens with a buckle «Velcro», and the adjustment of completeness tight "seats" Mitts on any hand.